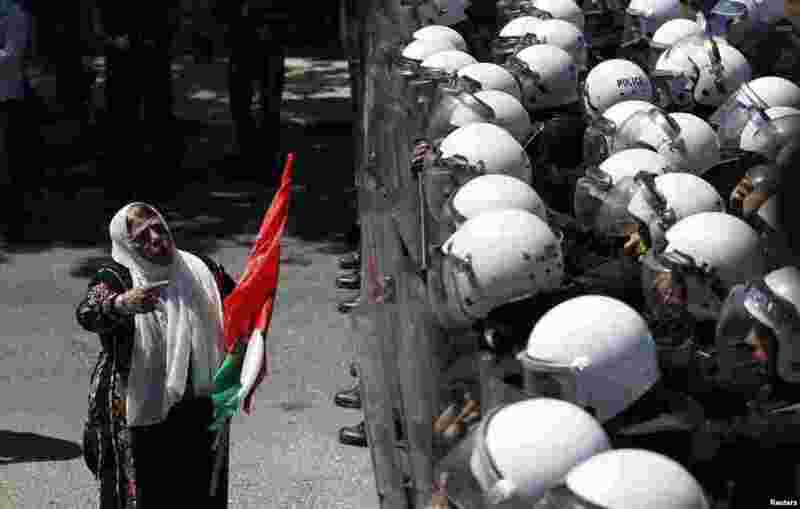 1 A Palestinian protester gestures in front of riot police during a demonstration against renewed peace talks between Israelis and Palestinians, in the West Bank city of Ramallah. 2 An unidentified man (3rd R) is forced off the stage by security staff after Australia's conservative leader Tony Abbott's (L) victory speech at an election night function in Sydney. 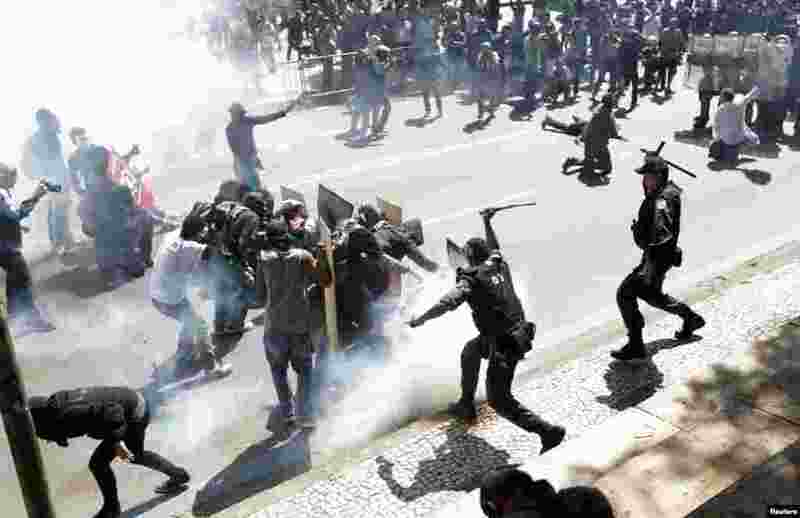 3 Demonstrators clash with riot police during a protest as they try to approach a military parade on Brazil's Independence Day in Rio de Janeiro. The protesters called on the government to provide better security, education, health and public services. 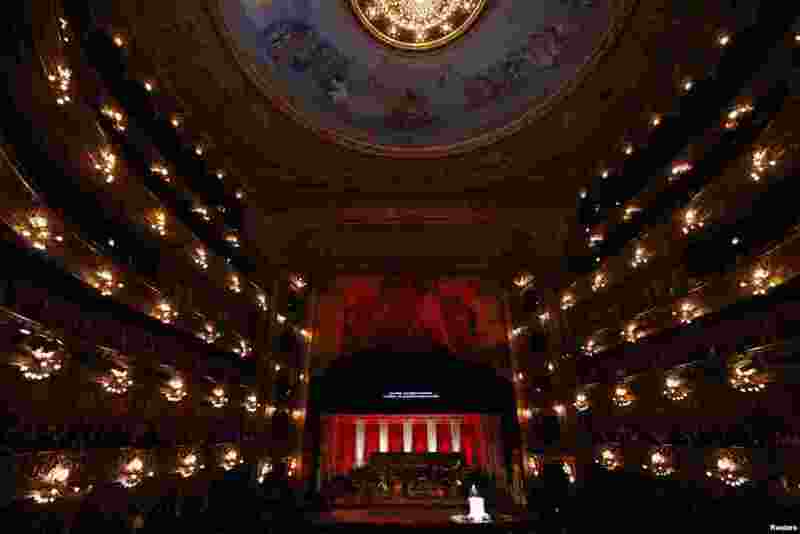 4 President of the International Olympic Committee (IOC) Jacques Rogge (bottom R) speaks during the opening ceremony for the IOC's 125th session at the Teatro Colon opera house in Buenos Aires, Argentina, Sept. 6, 2013.